Table linens are back and better than ever. Tablecloths are cool again. That’s right, they’re not just for special occasions. 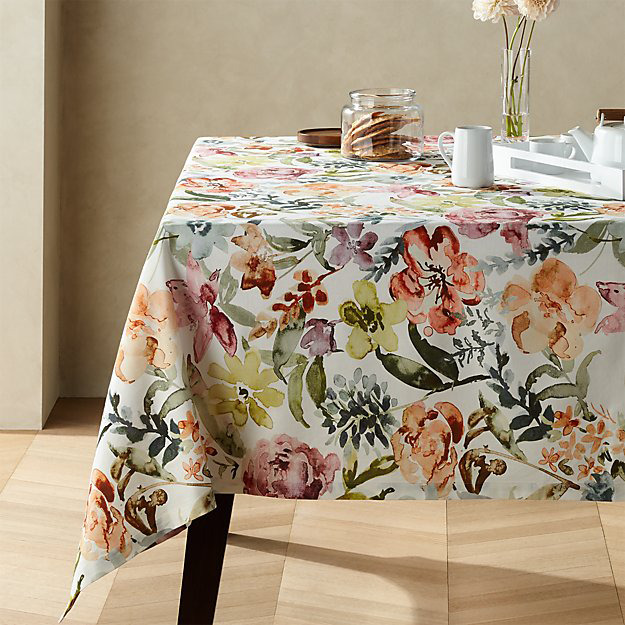 Runners, table linens, and placemats can change the feel of a kitchen or dining space. Match your decor, buy a few in the same color to rotate between washes, or even choose a material to match the season (we like linen for the warmer months, just like clothes). 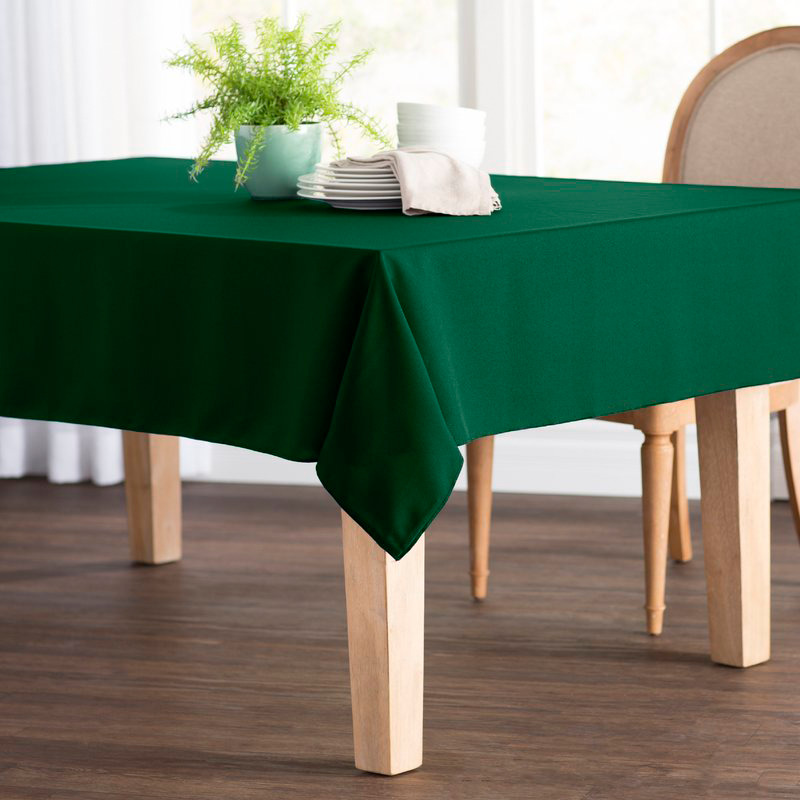 Tablecloths shield your table from stains, scratches and rings, and we've got you covered for the best options out there. See below for our picks to soften and spruce up your dining table. 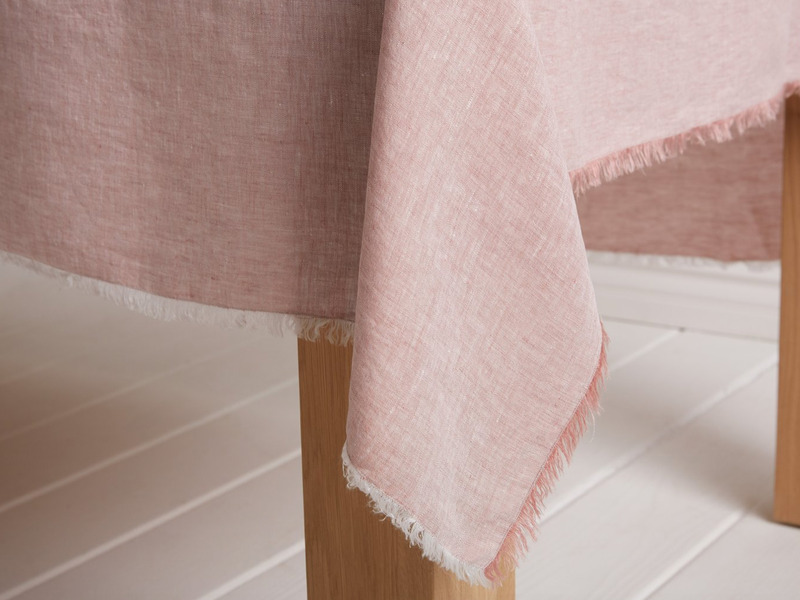 These hand-stitched linen tablecloths in muted, everyday colors are made with individually-dyed European yarn, creating a multi-toned piece that’ll look beautiful on any table. They’re also known to get softer with each machine wash cycle. 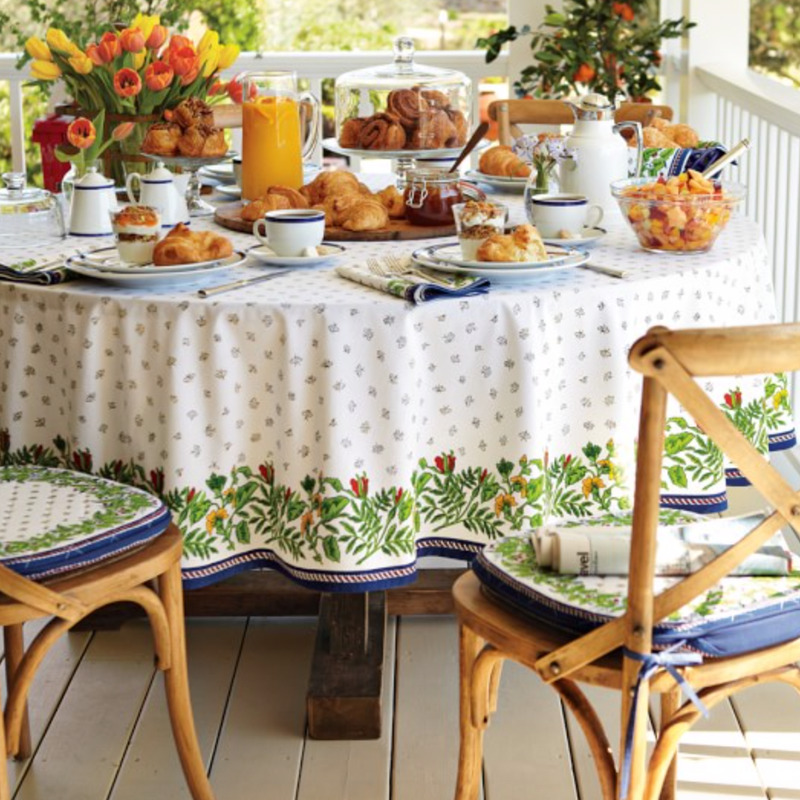 Inspired by southern France, this floral tablecloth reminds us of fresh butter and lavender fields. It’s 100% cotton and finished with a clean, full hem. With sea shells and fish masterfully printed on this 100% cotton tablecloth, you’ll be transported to the seaside. Throw this on your table for a summer party and your vibes will be set. 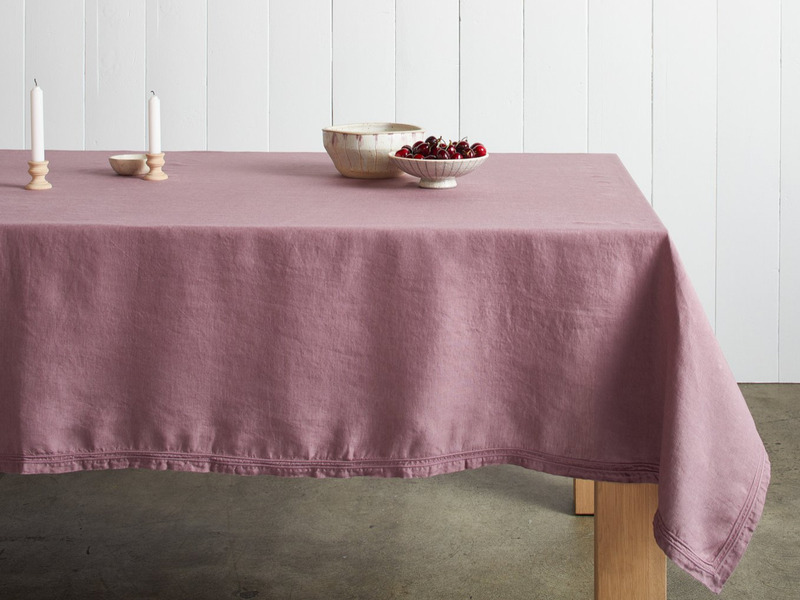 The durable washed linen used to make these tablecloths works for both indoor and outdoor dining. Choose from jewel tones like plum and teal for rich pop of color. 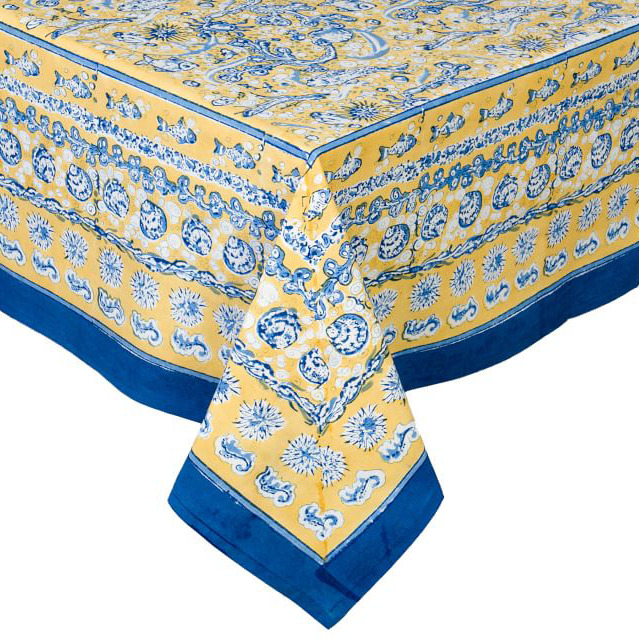 Everyone needs a basic, low-priced tablecloth and this should be yours. Wayfair offers 40 colors and nine sizes, so you’ll find exactly what you need. Add some texture to your table with chambray fringe. The linen is casual, soft and can be dressed up or down. Neutrals are perfect for any occasion. 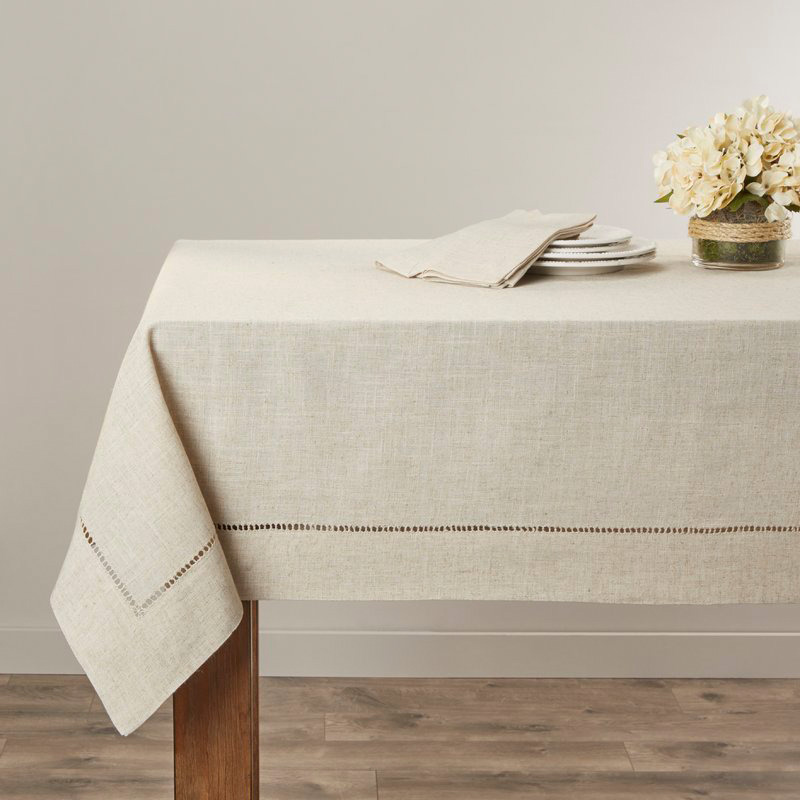 The stunning hemstitch in this oblong tablecloth makes it ideal for a dinner party with friends. 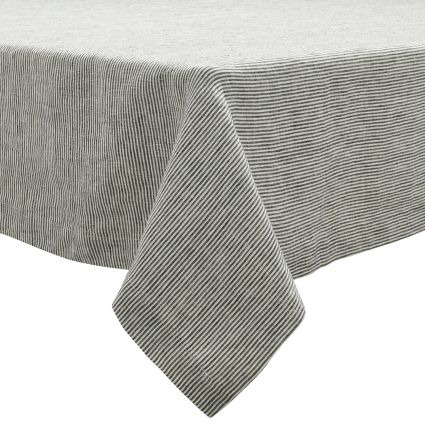 We love this thick linen, pinstripe tablecloth for daily meals. 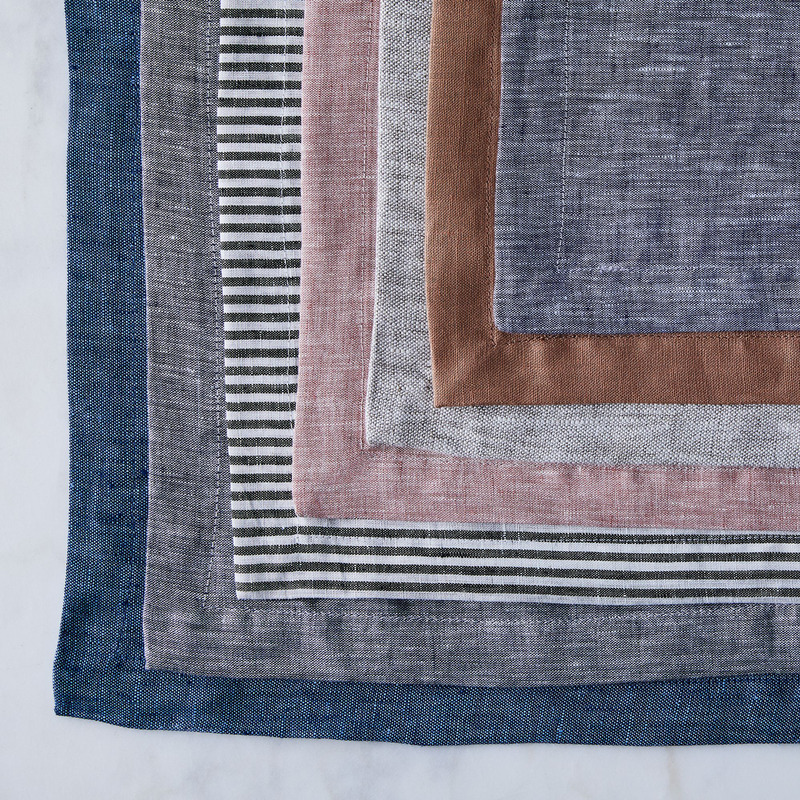 Each piece is hand-washed and pre-shrunk so it’ll drape casually and bring softness to your table. 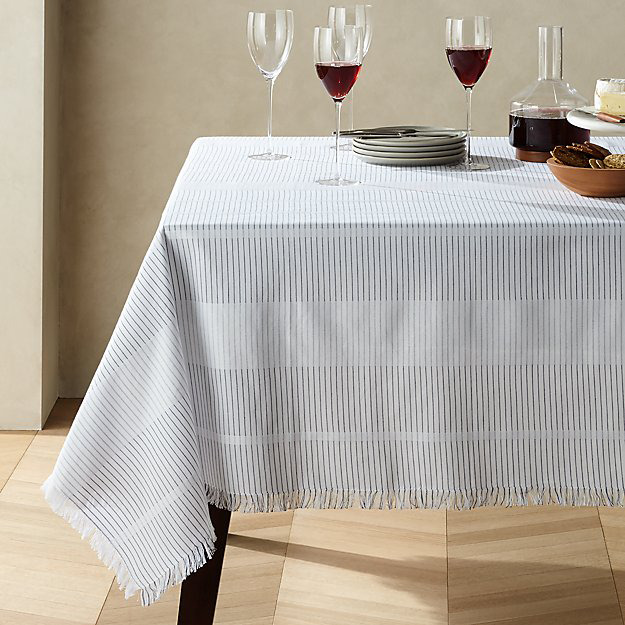 Stripes and fringe should make this 100% cotton tablecloth a top pick for your next potluck. The white and navy pattern is sleek, while the textured edge brings the fun. Big, watercolor blooms pepper this cotton and linen tablecloth that we’d reserve for a spring lunch gathering. Guests will admire the artful details.